Humans love babies. It’s an evolutionary tactic. However, the reality of adding a feline to your family is not based on evolution. The important decision comes down to what is a good fit for your family and your lifestyle. Surprisingly, to some folks, kittens are often not the answer. Adopting an older cat is the fastest track to the perfect fit. 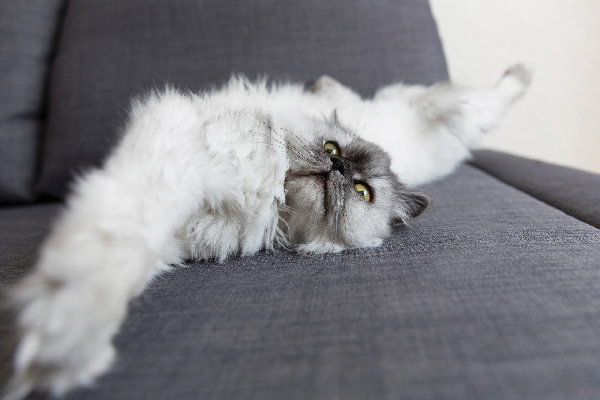 Taking into account your new adult cat’s temperament and personality, the transition to happy family member can be relatively seamless by following the experts’ protocol. 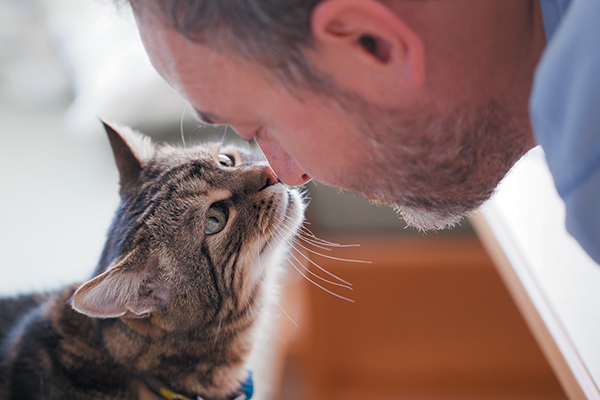 Often the behaviors that adoptive parents are looking for are found in older cats. Photography ©jonya | Getty Images. Lilo Bornhardt, with the Alachua County Humane Society in Florida, helps steer adopters to the right cat for them. The goal is to match the people with the cat they think will fit the family the best. Richard Havens, executive director at the City of Amarillo’s Animal Management & Welfare in Texas, echoes this matchmaking mission. Lauren McCarron, founder of Joyful Pets Animal Rescue in Massachusetts, finds the same biases in the Northeast. “The majority of adopters are asking for kittens.” However, they rarely adopt out single kittens, so if a family just wants to adopt one cat they’re introduced to adults. “More than half of our ‘kitten only’ requests fall in love with an older cat!” Lauren stresses to adopters that the “poufy kitten look” will only last until he’s 6 months old, then he’ll look like an older cat. So the adopters will only have about three months of the cutesy juvenile appearance. Usually the explanation is enough to sway the decision to a long-term fit rather than short-lived looks. “When adopting adult cats, the adopter has to remember the cat has most likely not lived his entire life in the shelter,” Lilo says. “The cats often come from home settings, so depending on their personality and their history, they adjust relatively fast into a new household.” She says it can take from a couple of days to three to four weeks to settle in. Take an item from the cat’s enclosure from the shelter home (a towel, blanket or toy, for example). Dedicate a whole room to the older cat, and keep him in there for a few days. Include food, water, toys, scratching post, litter box and a safe hiding place. Place items with your scent in there, too (worn T-shirts, pants or sheets). Make sure your human family members spend time in the room, and allow interactions at the cat’s pace. Don’t force yourself on the cat. And make it fun: Spend time playing with him and giving him treats, ensuring he’s associating good things with his new family. Expand areas of the house he can gain access to as he gets more comfortable. Remember, everything is new to him, so take it slow. Methodically introduce new furry family members to the cat. This needs to be slow and controlled with no outside stimulus such as radios, television or smartphones. By adhering to these easy-to-follow steps, the transition into your home should go as smoothly as possible. But remember, every cat is an individual, “If you have had a cat in the past, don’t assume that what worked for that cat will work for your new cat,” Richard warns. More good mews for older cats! While this is true and noble, she brings up another great point: Kittens are prone to many diseases that can manifest once in your home. But after a cat is past the 2-year mark, he is well beyond any scary or potentially deadly kitten diseases cropping up. Not to frighten people away from kittens, but an adult cat’s health at the time of adoption is more of a certainty. Another thing — older cats are often as playful as kittens. Lauren says they will find their favorite toy or game or even learn how to fetch. 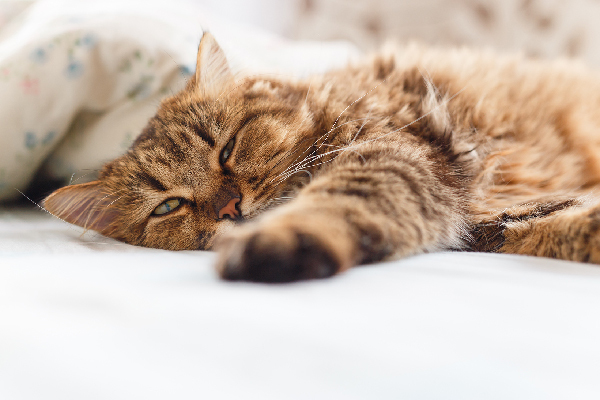 Matching your new cat’s energy level will ensure he’s sound, healthy and content. Being honest with yourself about what you want is extremely important before even considering adopting a cat. If you want to spend hours on the couch and zero hours with a feather toy, an older, less energetic cat is right for you. 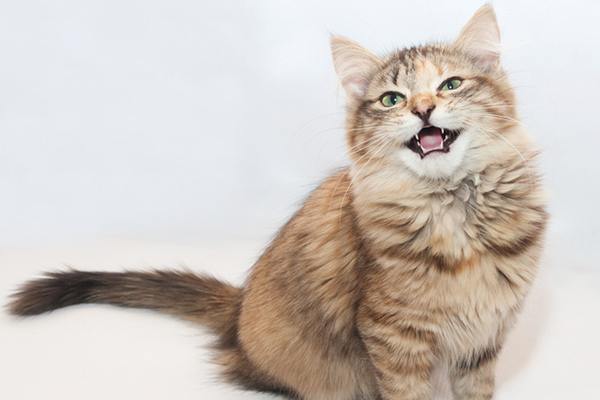 If you’re looking for a very friendly and affectionate cat, you’ll see those traits during the meet and greet. Older cats are the ultimate example of what you see is what you get. 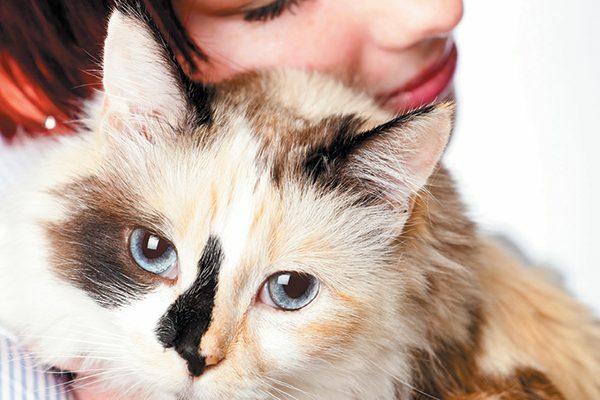 Whether you’ve had tons of cats or if you’re a first-time cat parent, there’s an adult cat that is right for you. The first step to finding that perfect furry family member is to be honest about what you want and why you want it — the adoption counselor will do the rest. Thumbnail: Photography ©1001slide | Getty Images. Denise LeBeau is an award-winning essayist, writer, editor and self-professed poet laureate of the pet set. 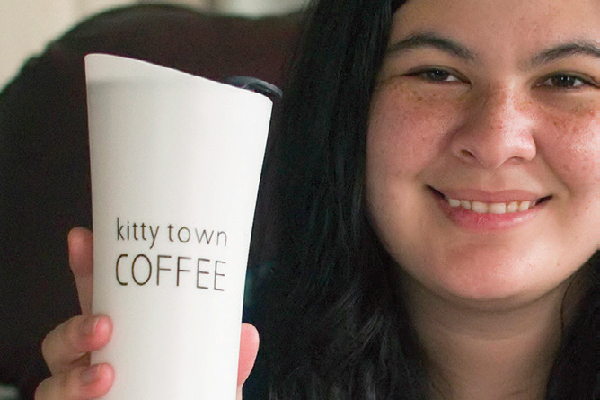 For the last eight years, she has been a full-time writer for an animal welfare organization. She shares her Hampton Bays, New York, home with two rescued Siamese cats, Flipper and Slayer, and two rescued moocher mutts, Parker and Zephyrella. Connect with her on Facebook. I am 67 years old and I have had cats since I was 3. I have adopted cats at all ages, from 1-1/2 weeks and 4-1/5 weeks to 6 yrs, 15 yrs, and my current little girl who is 12. They all came with their share of pros and cons, but every one of them was and is a terrific little animal. Some got along with other cats in the household, some didn’t. Some were sick when I got them, some weren’t. Some were active and playful at all ages, others weren’t. Some immediately adapted to their new environment. Some took months to years. In short, like people, cats are all different. But no cat needs a home more than an adult cat does. So great that you were willing to adopt a cat that the was not an easy cat. It is sad that in a shelter environment cats get labelled as less adoptable or less social. A shelter environment is no place to really know a cats true personality. Just like people we shine in different situations. I volunteer at animal shelters and many cats are simply not shown by staff because the staff have labelled them “not perfect” kitties. So sad. I got a 5 year old after my 20 year old died. She is so grateful I can see it in her. She was two years in a family until they dog slashed her throat and they turned her in to SPCA. She lived in this no kill unit for over 2 years as no one wanted an adult cat. But I saw her and didn’t want to do kitten stuff again. She is such a treasure. So glad I took her home. Sweetheart. Now we have a second one, younger but still cute and from a drainage ditch. She also seems to know she got a home. In March I adopted a 9 yr old male cat from a no kill shelter, he had been there since 2012. I took my time deciding but knew I wanted an older cat. That was 4 months ago and he now follows me from room to room and sleeps with me at night. The volunteers never suggested him as a possible match as he was deemed to be a biter and not very social. He is a great cat. We have adjusted to each other very well and I know he is in his forever home. He is even starting to play. Broken-hearted after losing a too-young cat to a stroke, we adopted a 7-year old cat who had been surrendered. He is still adapting after 4 months, taking longer than younger adults we’ve adopted. But he’s getting better every day and (finally) learning his new name. It’s been the most difficult adoption we’ve had. But, he’s funny and sweet. And, we know we saved a life.